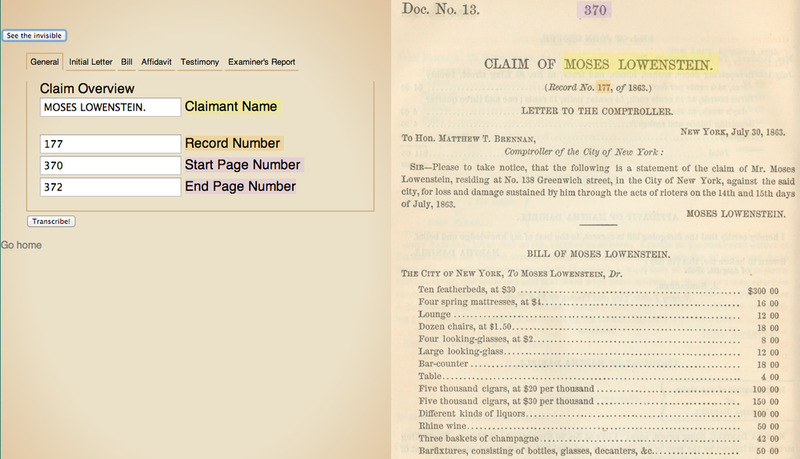 A transcriptionist's aide that migrates selected OCR content into the correct form field. Transcriot is a Rails app made in conjunction with the New York Public Library as an interface for volunteers to assist in transcribing digital archives. It initially processes the images through the open source OCR program Tesseract and pre-populates some of the database by means of regular expression matching. March 13, 2014 by Breset Walker.